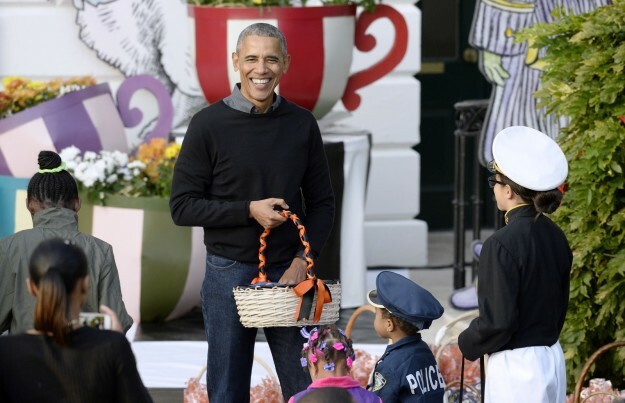 Every year, the president hosts a Halloween party at the White House where kids will come dressed in costumes and trick-or-treat as well as participate in other Halloween festivities. This was President Obama’s last year hosting the event, and he was in full on Dad-mode, sporting a J.Crew-esque outfit of “Dad” jeans and a crew neck sweater over a button down. 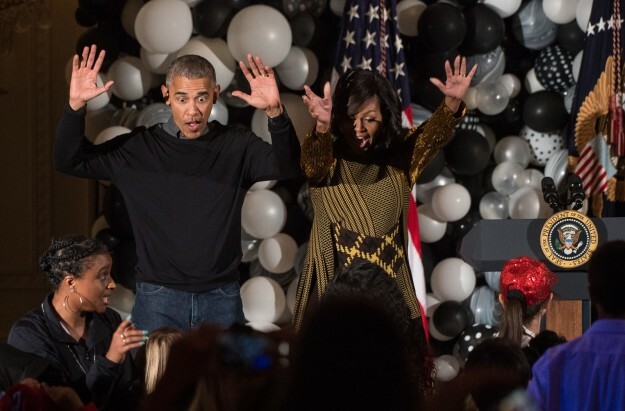 In addition to trick-or-treating, one of the activities that was took place at the soiree was dancing, in which the world was gifted with Barack and Michelle Obama dancing to Michael Jackson’s “Thriller”…and probably forever embarrassing their two daughters, Sasha and Malia. Probably one of the best things that happened at the event was when a little boy dressed at the president himself showed up. He showed up sporting a suit and clearly spray painted his hair grey. What happened next was nothing short of amazing. After President Obama saw the boy, he immediately cracked up and asked him, “Is this supposed to be me?” When the boy nodded yes in response, Obama swiftly answered, “Man, I’m not that grey yet!” Best. Response. Ever. While mini-Obama was definitely the best costume at the party, there were some other great and noteworthy costumes as well. 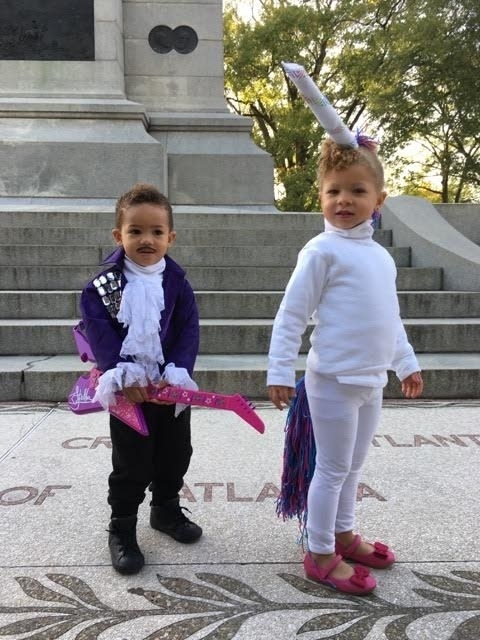 An adorable 2 year old named Cruz came dressed up as the late singer Prince, and he looked absolutely adorable. He attended the event with his parents and his sister, who was dressed as a unicorn. Clearly the event was a great success and the kids had a lot of fun. It’s always great to see political leaders in a more relaxed setting, interacting with kids and celebrating holidays.